Teachers at River Mill Elementary School recently told their students a bedtime story every night. Though the One School, One Book program, River Mill students, staff and families all read "The Mouse and the Motorcycle" by Beverly Cleary, and many teachers created videos that students could read along with each night. "They brought the kids into their world," said River Mill Elementary School Principal Jennifer Behrman, noting that videos often featured puppets, music and costumes, and one teacher read the book next to a motorcycle while wearing a helmet. "We got to see different sides of our teachers." One School, One Book is organized by Read to Them, a nonprofit organization in Virginia dedicated to promoting literacy and encouraging students and their families to read regularly and independently. The group provides schools with copies of books in English and Spanish, a reading schedule, trivia questions and answers, and suggestions for classroom activities and school assemblies. River Mill Elementary has participated in the program for three years. "It's an easy and fun way to celebrate reading, and to keep the importance of reading every night on the forefront of parent's minds," said Behrman. 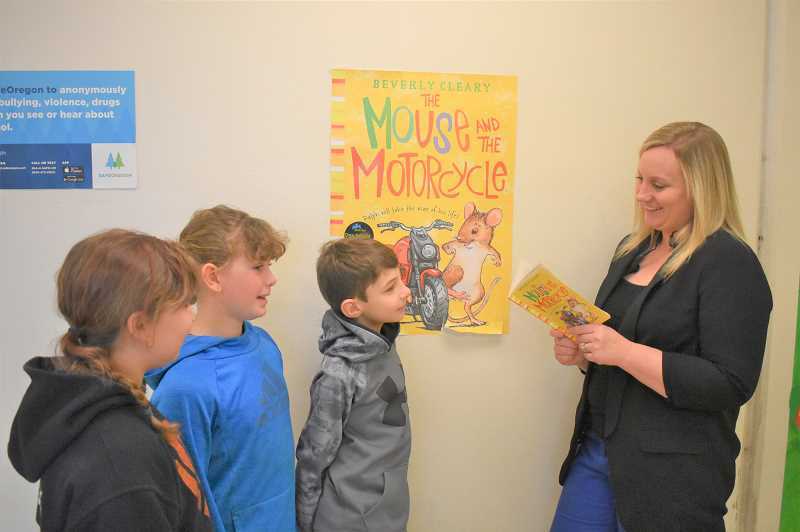 River Mill began reading "The Mouse and the Motorcycle" on Monday, March 4, and finished on Friday, March 22. Students received clues to which book they would be reading in the week leading up to the event. 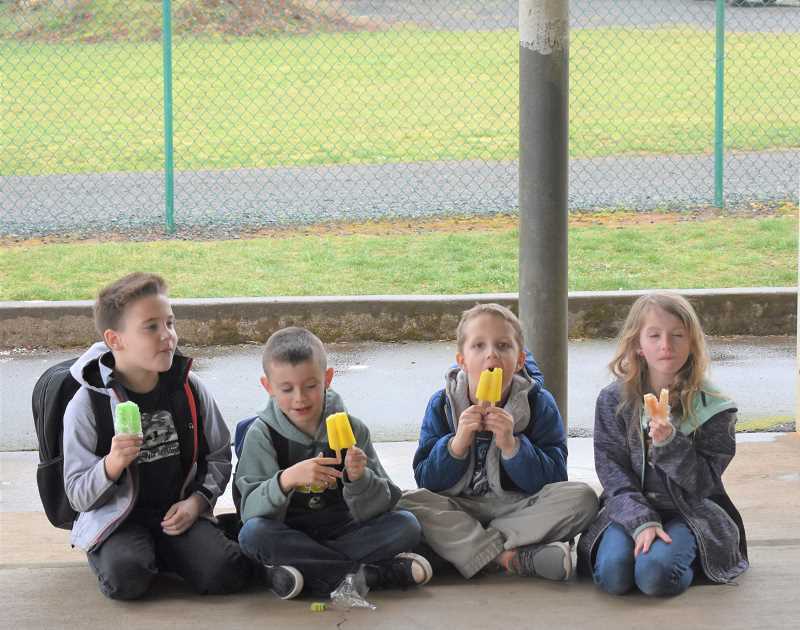 On Friday, March 22, students celebrated completing the book with "mouse-sicles," or popsicles with a name influenced by the novel. The book often adds "mouse" to words, such as "mousebunny" rather than "dustbunny." "The Mouse and the Motorcycle" tell the story of a mouse named Ralph, who befriends a boy named Keith after attempting to ride his toy motorcycle. Last year through the One School, One Book program, the River Mill community read "The Lemonade War" by Jacqueline Davies, and the previous year, the selection was "The World According to Humphrey" by Betty G. Birney. All three books are the first in series, and many students go on to read the subsequent books on their own. During One School, One Book, students answered trivia questions about the novel every morning. "The kids are so excited to know the answers to the trivia questions," Behrman said. The story also influences other subjects at school — including math, during which students have been solving problems involving character names from the book. Behrman appreciates that the program builds upon the sense of community that is already present at River Mill. "I love the camaraderie with staff, students and families," she said. "It's a collaboration — look how fun you can make reading." Students have enjoyed many parts of "The Mouse and the Motorcycle." Fourth graders Jacob Roan and Nickalila Faulk liked that Ralph often helps Keith. "He risks his life to save Keith," said Roan. Students also enjoy that they are all reading the same book. "It's fun because we can talk to each other, and you don't have to read by yourself," said fourth grader Olivia Ferguson. Behrman appreciates "getting everyone on board to find joy in reading." "Reading takes you places. It's something that can take (our students) anywhere," she said.